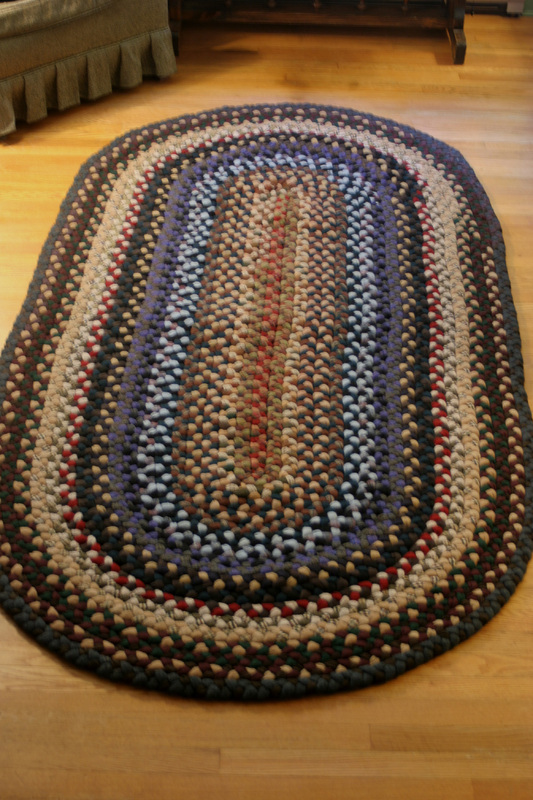 Bethany Homecrafts Upcycled Designs: The Rug is Done! Hallelujah! 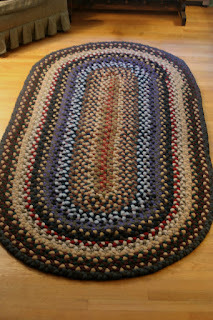 I've finished the braided rug and will be delivering it today! I hope it brings years of happiness and comfort to its new family. Beautiful. I like the placement of the blue, and how it focuses your attention. After so much time on it, is it hard to see it leave? Thanks! It's not really hard to see it go...it's been taking up so much space in my studio and so much time...I'm grateful to have the space and time to work on new designs now. Oh my, I can't imagine the time that took to make! It is gorgeous! Lucky owner! !